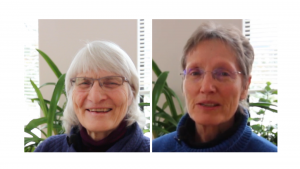 Watch the video below to hear Carol Putnam and Silver Frith, Yasodhara Yoga teachers in Halifax, talk about their decision to name the Ashram in their wills. The Ashram has held the integrity of Swami Radha’s teachings for 56 years while welcoming a growing number of people seeking meaning and quality in their lives. This has been possible because people like you have taken workshops and retreats, offered Karma Yoga, kept the Ashram in your practices and made donations. We benefit from the generosity of each person who has contributed in their own way. Legacy Giving is a way to ensure your support for future generations. Your gift pays forward to those who will be spiritually nourished in our spiritual community for years to come. Visit our new Legacy Giving page to hear what has motivated some other donors to include the Ashram in their wills. And thank you for considering making the gift of a lifetime.